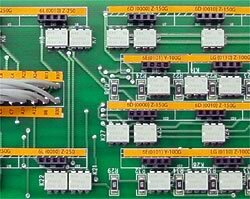 Advantage Electronics is a leader in the design and manufacture of printed circuit assemblies. Short and medium run products are our specialty. We produce printed circuit assemblies using fully automated surface-mount assembly as well as hand-placed through hole capability. Advantage Electronics manufactures and inspects all circuit boards to provide our customers with superior quality printed circuit board assemblies. We will assemble your design or help you finish the design and manufacture the prototypes.